A picture of Kim Jaejoong’s perfect transformation into a vampire is drawing attention. Fanart was recently posted on an online thread with the title ‘Kim Jaejoong repackage album Y Vampire ver.’. ‘Fanart’ refers to pictures drawn by fans of their favorite celebrities. 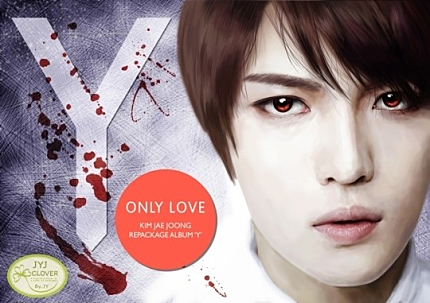 In the picture drawn by Yoo*Young, Kim Jaejoong gives off the aura of a perfect vampire with his snow-white skin and red eyes. Kim Jaejoong has frequently been compared to a vampire for his pale skin and red lips, and was once likened to Robert Pattinson from the ‘Twilight’ series in an Italian magazine.